The Winning Edge Football Academy offers a range of Developmental and High Performance programs which provide children between the ages of 8 and 16 with the opportunity to access quality coaching within a professional and supportive environment. The WEA Coaching team are incredibly passionate about football and developing our great game at a grass roots level. 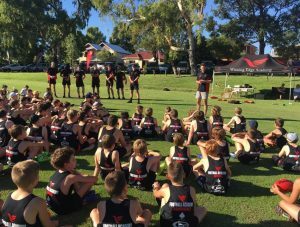 The AFL Development Program is open to Boys and Girls of all abilities within the specified ages. From the very beginner to the very experienced footballer looking for an opportunity to refine their skills, we can provide the right option to suit your needs.The AFL Development Program allows junior footballers a way to work towards selection in WAFL Development Squads, State Teams or the Winning Edge High Performance Academy. Footballers develop at different rates and we encourage children to never give up on their dreams. Many AFL players weren’t selected in representative teams on their way to the big time. Winning Edge provides Boys and Girls with the belief, skill and understanding required to continually progress as a player and a person. An experienced AFL player with Fremantle, Carlton and Melbourne, Troy Longmuir played a total of 83 games at the highest level before returning to play out his career in the WAFL at West Perth where he played in the 2003 Premiership side. 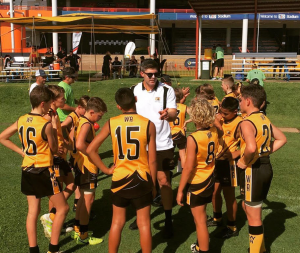 With a wealth of knowledge gained during his career and a rare ability to develop a rapport with those who he coaches, Troy was the perfect candidate for the position as Head Coach of the Winning Edge AFL Academy in Western Australia. His professionalism and passion for helping children reach their football potential ensure that the Winning Edge AFL Academy will continue to develop into one of the premier AFL programs in the country over the coming years. Former Fremantle Docker and current Claremont Tigers midfielder Anthony Morabito joined the Winning Edge coaching team in January 2017 after 7 years in the AFL system. After an injury plagued career which saw him undergo three knee reconstructions, the talented Morabito still has plenty to give football both as a player and coach. Having just finished at the highest level, Anthony is able to provide our Academy members with an up to date insight into current training techniques and game trends. The number four pick in the 2009 AFL National Draft is also an exceptional role model and mentor for the children in our Academy. The resilience Morabito showed throughout his career is well known in the Football world and we endeavour to use this story to enhance the mental conditioning of our athletes. Luke has extensive experience as a Junior Coach, including 5 years as an assistant with the Western Australian AFL Boys 12yrs State Team which has medalled at the last 4 consecutive national championships. These carnivals mean he has a firm understanding and awareness of what best practice looks like at an elite junior level in Australia. Thomas is a talented young coach on the rise. At just 20 years of age he is already making his way through the ranks of WA Football. Lowndes is the current Subiaco Football Club 16’s Development Head Coach and also coaches the North Beach A-Grade Colts team. He is an asset to our team and provides WEA members with a young mentor to assist them with their long term football development. Kane Lucas was drafted by Carlton with Pick 12 in the 2009 AFL National Draft after a stellar junior career. He played 42 games for the Carlton Football Club and was famously part of history as the first player ever to be substituted onto the ground under the AFL’s now defunct sub rule. Kane returned to Perth and was on the West Coast list for 2 seasons before injury called a premature end to his football career. He has been a wonderful mentor and coach to our WEA Athletes since commencing in April 2018. Winning Edge Football calls upon a network of WA’s finest coaches to provide members with the most up to date knowledge and training techniques available. WEA athletes are given access to invaluable information which can potentially fast track their development by several years. This level of coaching has been previously unavailable to junior footballers (even in the WAFL system). After an AFL career with the Fremantle Dockers, Longmuir worked his way up the ranks with the West Coast Eagles to Senior Assistant Coach under Adam Simpson. in 2017 Justin moved to the Collingwood Football Club where he is currently working as an Assistant Coach under Nathan Buckley. West Coast Eagles Legend Darren Glass is a gifted coach and mentor for footballers of all ages. With 270 games of experience, the 2012 AFL All Australian Captain recently worked with WEA members during our Pre Season Program. The session focused on defensive structures in the modern game. Darren introduced the concept of guarding space to turn defence into attack and what is required in a successful defensive zone. His communication skills and charismatic nature made this an experience to remember for all involved. Darren Glass is currently working with Alastair Clarkson and the Hawthorn Football Club. 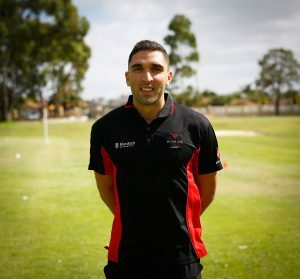 Anthony moved to Western Australia from Melbourne to take up a role as an Assistant Coach at the Fremantle Football Club where he works with the Midfield. Having played with the dominant North Melbourne team in the 90’s where he was a member of the 1996 premiership, Rock finished his career at Hawthorn, retiring in 2001 after 222 games at the highest level. He has since worked an AFL Assistant at 3 other clubs (St Kilda, Melbourne and North Melbourne) as well as a stint as a Head Coach in the Victorian TAC Cup with North Ballarat. Anthony worked with our 12-15yrs squad on body positioning and running patterns in contested situations- something which is crucial for the modern game. His feedback and visual demonstrations allowed our WEA athletes to gain an insight into the level of skill required if they wish to one day make it in the AFL. A Brownlow Medalist who played 200 games of Football at the highest level. 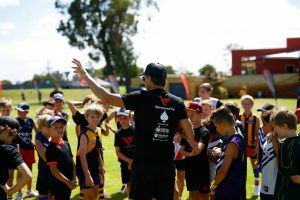 He has an outstanding coaching resume which includes six years as an AFL Assistant Coach at the Brisbane Lions and three years as a WAFL Head Coach at East Fremantle. Shane is currently the A-Grade Coach of North Fremantle in the WAAFL. Fremantle Assistant Coach Michael Prior worked with out Post Season Academy in October 2018 and provided great insight into current trends of the game at the highest level.